alertcast® is reinforced thermoset composite engineered for superior impact-resistance, slip-resistance,wear-resistance and long term durability. 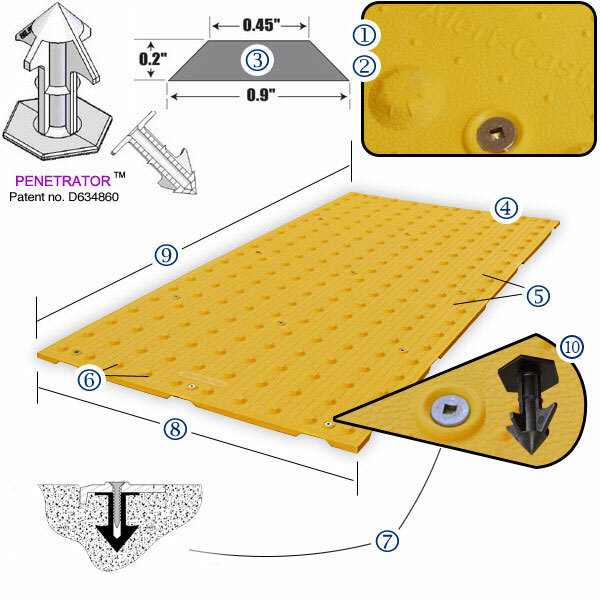 Our exclusive design incorporates a top panel of truncated domes molded to exact ADA specifications for detectable warnings and bottom docking anchors that are embedded into wet concrete. 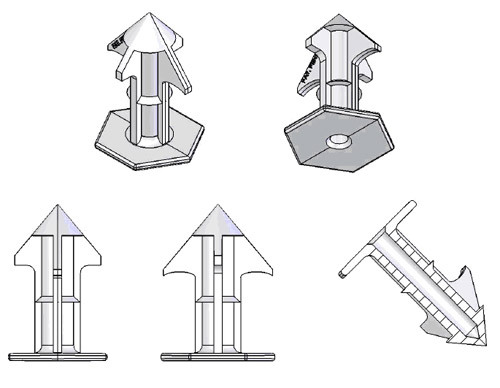 The special concrete anchors lock the part securely into the concrete without trapping air beneath the part’s surface. While incredibly strong, this system is actually very lightweight and very easy to work with during installation. Replaceable, uses patented PENETRATOR™ anchoring system – simple wet concrete installation with minimal aggregate displacement and maximum holding capabilities. Easy tile replacement should the need arise. Proprietary fasteners for easy installation (Penetrator™). Available in five standard colors to meet a variety of situations and preferences: Yellow Colonial Red, Brick Red, Black and Grey.